Investigation • Brett Olsen was searching for missing boy when he shot Sugar House man's pet. Courtesy Justice for Geist Facebook page Geist Courtesy Justice for Geist Facebook page Geist Jeremy Harmon | The Salt Lake Tribune Salt Lake City Police Chief Chris Burbank answers questions during a press conference about the June 18th incident where Officer Brett Olsen shot and killed Sean Kendall's dog, Geist. 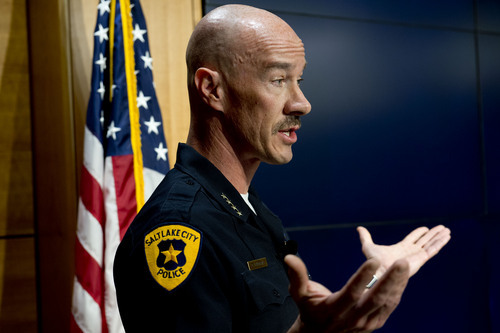 Jeremy Harmon | The Salt Lake Tribune Salt Lake City Police Chief Chris Burbank answers questions during a press conference about the June 18th incident where Officer Brett Olsen shot and killed Sean Kendall's dog, Geist. 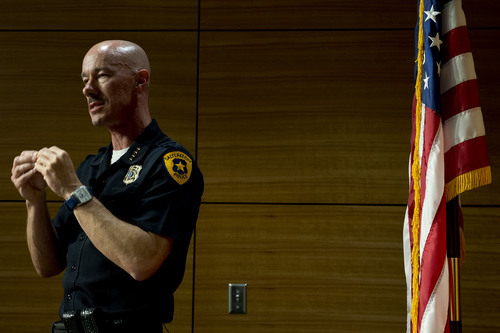 Jeremy Harmon | The Salt Lake Tribune Salt Lake City Police Chief Chris Burbank answers questions during a press conference about the June 18th incident where Officer Brett Olsen shot and killed Sean Kendall's dog, Geist. 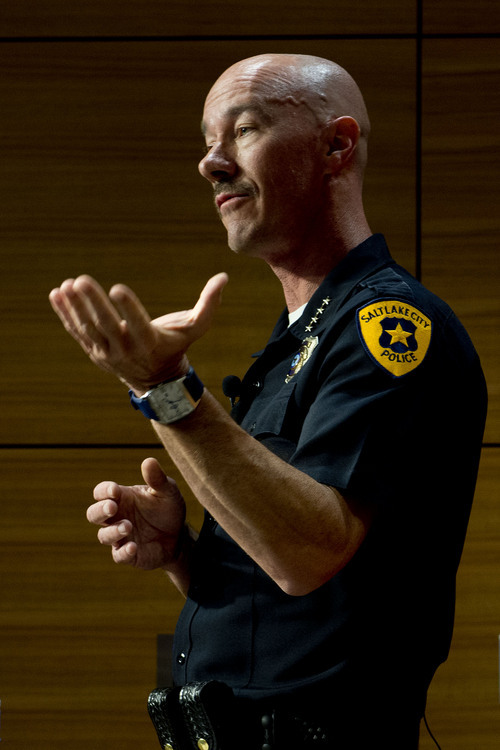 Jeremy Harmon | The Salt Lake Tribune Chris Burbank, the Salt Lake City police chief, speaks during a news conference June 27, 2014. 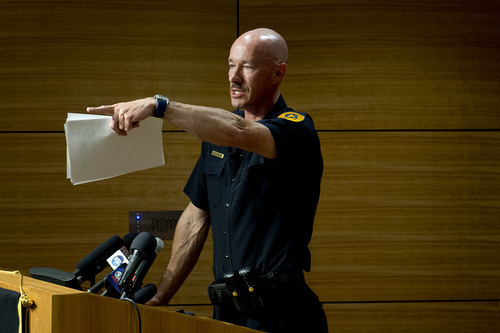 Jeremy Harmon | The Salt Lake Tribune Salt Lake City Police Chief Chris Burbank answers questions during a press conference about the June 18th incident where Officer Brett Olsen shot and killed Sean Kendall's dog, Geist. 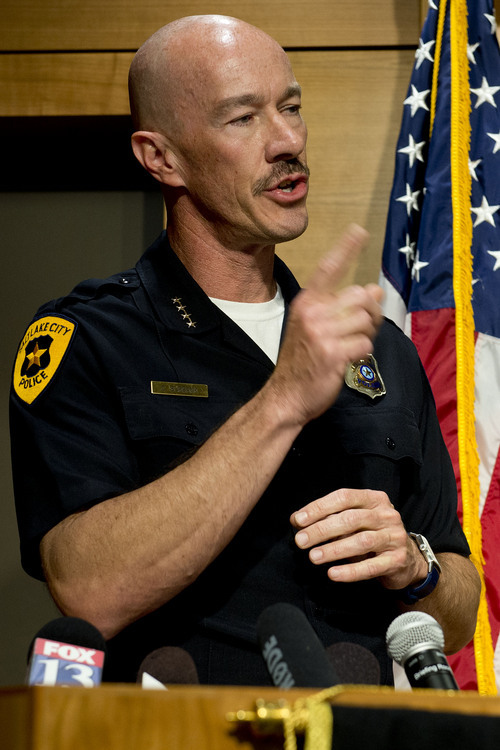 Jeremy Harmon | The Salt Lake Tribune Salt Lake City Police Chief Chris Burbank answers questions during a press conference about the June 18th incident where Officer Brett Olsen shot and killed Sean Kendall's dog, Geist. 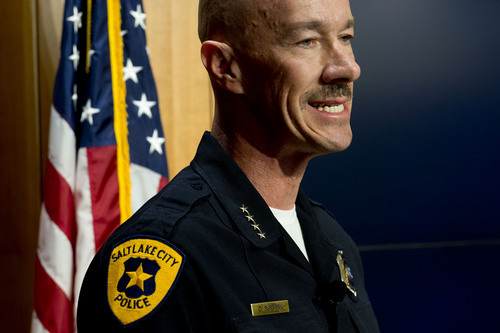 Jeremy Harmon | The Salt Lake Tribune Salt Lake City Police Chief Chris Burbank answers questions during a press conference about the June 18th incident where Officer Brett Olsen shot and killed Sean Kendall's dog, Geist. Jeremy Harmon | The Salt Lake Tribune Salt Lake City Police Chief Chris Burbank answers questions during a press conference about the June 18th incident where Officer Brett Olsen shot and killed Sean Kendall's dog, Geist. 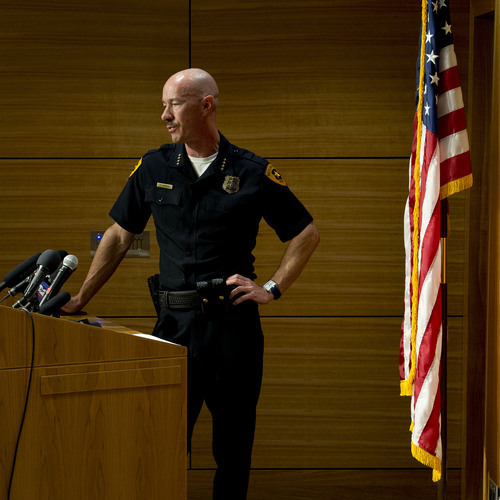 Jeremy Harmon | The Salt Lake Tribune Salt Lake City Police Chief Chris Burbank answers questions during a press conference about the June 18th incident where Officer Brett Olsen shot and killed Sean Kendall's dog, Geist. 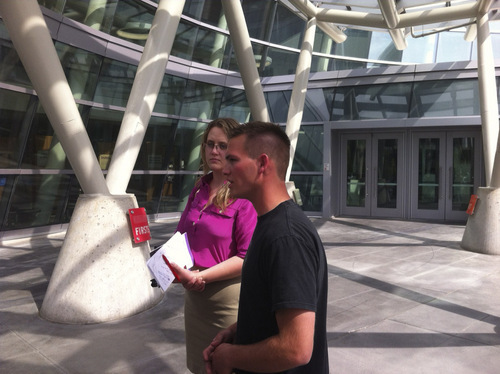 Sean Kendall, whose dog Geist was shot and killed by a Police officer on June 18, 2014, addresses reporters outside police headquarters in Salt Lake City. 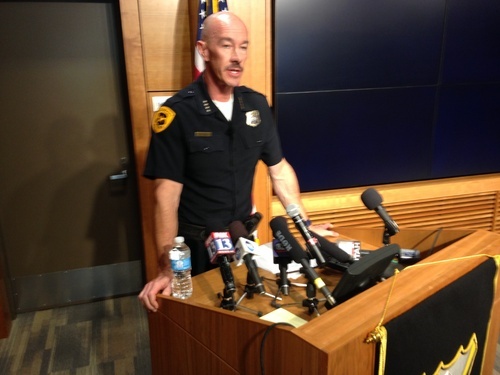 Salt Lake City Police Chief Chris Burbank police confirmed Friday that the officer who shot and killed a dog last week while searching for a missing child was Brett Olsen. Olsen was one of the "heroes" who helped take down a lone gunman who killed five patrons at Salt Lake City&apos;s Trolley Square in 2007. "The raging debate has gone on, on the Internet and throughout, as to who the officer is, and which officer Olsen," Burbank said during an afternoon news conference. "Well, it&apos;s Officer Brett Olsen, and, yes, he is the hero of Trolley Square, or one of them." "This is a seasoned officer who has tremendous experience and, in fact, has been under fire and performed very well," Burbank added. Burbank said he has not reached any conclusions about the case, but did say that "evidence shows that the dog was extremely close, in fact within feet of the officer. We do have documentation." 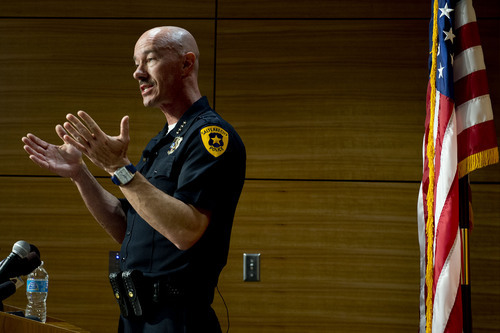 He asked the public for patience and to remain respectful as the police department continues an internal investigation into the June 18 incident, a process that could take about a month. Burbank read aloud some of the hate mail the department has received about the case, including some threatening the officer&apos;s life. "That pig that shot the dog needs to be executed, too," Burbank read. Looking up from the email, he added, "There&apos;s a lot worse than that." The chief said he was "disappointed" by the tenor of the emails and urged people to put the case in the proper perspective. He said that often, when people are shot, the public outcry is less extreme. He also emphasized that officers were concerned that a child had gone missing. "Imagine what the outcry would be if … something tragic happened to the child, and we didn&apos;t go into any yards that were fenced, we didn&apos;t look anywhere we had access to," Burbank said. "Exigent circumstances certainly dictate our ability to go in an unsecured yard and to check and see if a child is in there." The missing 3-year-old boy was found safe inside his home, hiding under a box and buried beneath blankets, about an hour and a half after the search began. Both police and parents had searched the house, but the child did not respond to his name. Olsen will remain on duty while the police department conducts an internal investigation into the shooting incident. 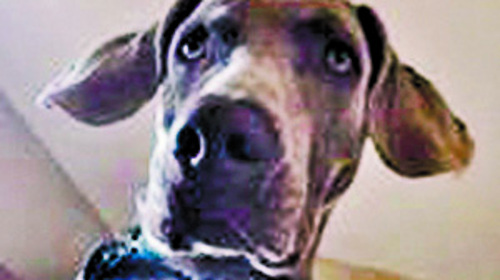 Sean Kendall, 27, owner of the 2½-year-old Weimaraner, Geist, has said he wants the officer to be fired. Kendall, as well as Gene Baierschmidt, executive director of the Humane Society of Utah, have asked why the officer had to kill the dog, rather than back away or use a non-lethal method alternative, such as pepper spray or a Taser. The Salt Lake City Council sent a letter this week to Burbank expressing their sorrow over the shooting and their hope that an independent review by the Police Civilian Review Board will help supplement the department&apos;s internal investigation. "We request that both investigations be thorough and deliberate with the results released to the public as soon as possible," the council members told Burbank in the letter. The council also asked Burbank to "educate" the public on the policies of searching for a missing child, and said it is "hopeful that unintended consequences such as this can be avoided in the future." Burbank confirmed Friday that the department would reassess the way it trains officers to deal with aggressive dogs. Kendall, after learning his dog had been shot, recorded video of his initial encounter with police outside his Sugar House home. In the video, Kendall arrives home to find three police officers and an animal control officer on his front lawn. He angrily demands to know why his dog was killed. "I can explain the basic circumstances, and that is, he entered the yard looking for a lost child. He was threatened by the dog, and he shot the dog," responds Sgt. Joseph Cyr, who Kendall would later credit for his compassion and empathy. "That&apos;s as simple as it gets." "He was threatened by the dog?" Kendall asks. "So, backing up slowly and leaving the residence is not an option?" When Kendall asks for the officer&apos;s name, those on the scene identify him as "Officer Olsen." During the video, Kendall becomes increasingly enraged and upset. The officers remain calm and professional while expressing their sympathy. "Thanks officer, have a good day," Kendall says as he begins to sob at the end of the video. "I need to go bury my dog." Olsen was one of three police officers who shot and killed 18-year-old Sulejman Talovic at Trolley Square on Feb. 12, 2007. 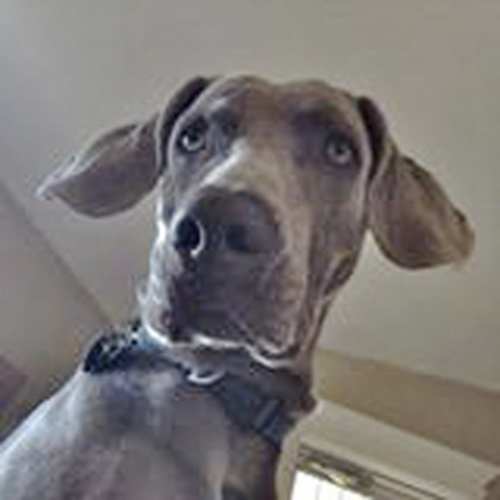 P The dog-owning community can show its solidarity for Sean Kendall and his dog, Geist, by attending a rally on Saturday outside the Salt Lake Police Department&apos;s headquarters at 475 S. 300 East from 10 a.m. to 1 p.m., according to the Humane Society of Utah.